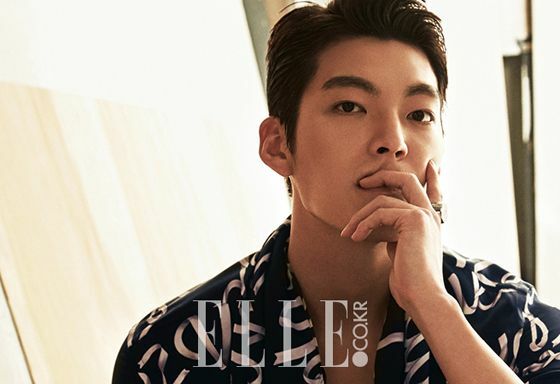 With Uncontrollably Fond headed into the last arc of its run, my feelings for leading man Kim Woo Bin has finally settled on a definitive opinion. This drama is a slow simmering burn and has hit my expectations but not exceeded it. I was excited prior to its airing but controlled in that excitement because unbridled and unfettered enthusiasm is just a recipe for disappointment. I can’t critically analyze why the drama is merely good without being great since it feels like a melange of so many factors each lacking just a smidge so together it’s like a whole step down. 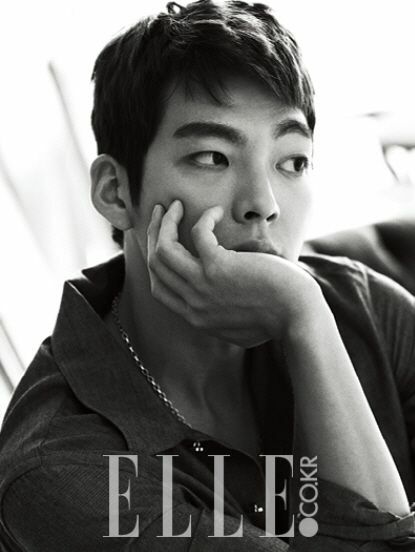 Kim Woo Bin’s performance is charismatic but way too similar to his Heirs take on the rebellious entitled emo-hurt boy. It’s a combination of the way his character is written and also his really strong aura that seems to permeate whatever role he’s doing in all his recent serious works, which means another comedic or beta male role like in Twenty to keep changing his image up. 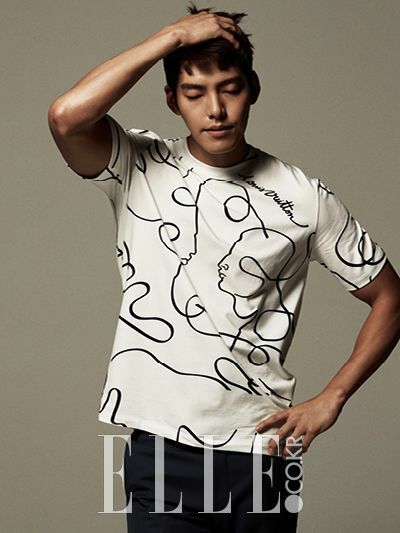 And along the way churn out intensely masculine model perfect pictorials like this latest in Elle Korea. I didn’t think much of his as an actor before UC. Just a lot of charisma and charm. But the recent episodes have changed my mind drastically. I love how much he has embodied Joon Young to a point where it’s painfully real. No doubt W is a much more awesomely written and better crafted drama – that’s a huge understatement, in fact. 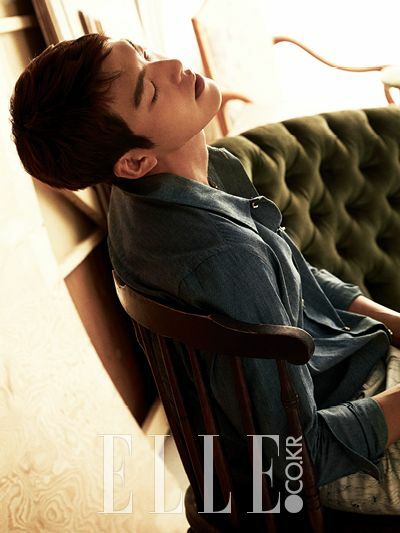 But in terms of leading men, I’m really impressed with KWB. He’s tried something a bit different than the usual bad boy, and his crying scenes move me. Of course IJH is amazing too, but when the end comes, I know my heart will be so crushed. I agree with you but I think that because KWB’s character is well written while as LJS’s character is a bit written in the shallow way. Like there is not even an argument that plot wise W is a better drama. However the characters a primarily a love story. Whereas characters in UF have much more going on in terms of relationships and minor characters. The way KWB embodies his character and expresses the pain and turmoil really impresses me. In W the main lead lost his entire family and yes we see traces of that pain in one episode… however for the most part he is a perfect rich, handsome, play boy who is loved by everyone. W doesnt really do LJS’s acting skill justice. I find W becoming a mess since ep 8 and especially ep 9. The plot is all over the place, there is actually no real plot, I dont know what’s real and what’s fake. While with UF I can contendly sit back and watch the drama. I love JY, he is KWB best character, and the chemistry between him and Suzy is also great (though Suzy needs to learn act deeper, and yes I am her fan!). I find it a waste that the writer puts so much emphasis on JE and JY scenes, I want the OTP like RIGHT NOW. We have only 6 eps more to go :(. Definitely agree with Chul being shallowly written. I get that he’s an abstract character – quite literally in that he’s doesn’t actually exist. But there’s a lack of depth and that in turn keeps me at an arms length on how to connect with him. Joon Young is the opposite because while he has crap going on in his life, he sorta goes for what he wants, then steps back to sacrifice. He’s not really anywhere right now, but I sorta get it because thats just human. He wants to live whatever time he has remaining, but also wants to die without leaving a mess behind. In regards to LJS, he’s a decent actor, and has done better in the past – like Pinocchio for example. But I’ve never found his exemplary. He sorta lacks the emotional punch for me. I’m rather taken by HHJ on the other hand. She’s not the best – far from if in fact – but she just plays Yeon Joo with such zest, it connects with me. Suzy – keeps getting worse after every project. So overall, I think W is a clear clear winner. I didn’t intend to Watch his drama because i wasn’t in the mood for a melo, but i give it a try and liked it. It’s easy and pleasant to watch . Acting wise Suzy should improve about conveying emotions but actors work hard so i respect them. I usually don’t find him very attractive but he looks good here. Well, the pacing is too slow and they just put much emphasis on lighter tone in earlier episode, it’s getting better now. And UF actually move me more than The Innocent Man despite The innocent man is better directed and have better actor. I lost count of how many times I cried in UF. JY is just remind me so much on Cha Moo Hyuk despite they are different, but also i found they have similar vibe. And also, i find KWB act better here than in heirs which is help by JY’s char is actually having more depth and alot of work to do, there is this innocence vibe into his potrayal despite his cool and bad boy persona that i like. But the one performances i like more is Im Joo Hwan. He is so alive in this role and put so much depth on char which such has aloof personality. UF is a mess but I’m glad WB’s acting is getting recognition. 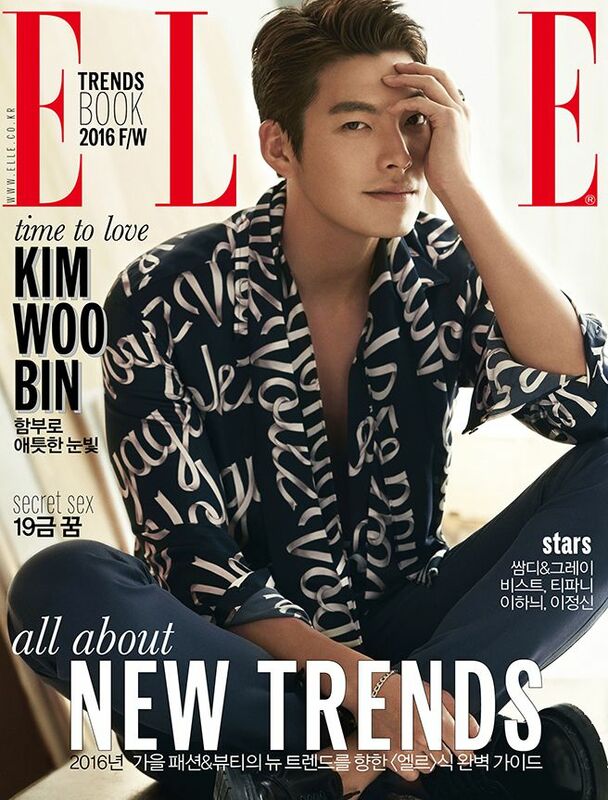 Not a fan of the drama but would like to see KWB have a chance at another main role. I agree that he has somewhat been type casted as a bad boy. I’d really like to see him in a romantic comedy, perhaps with a more experienced leading actress that can allow for more chemistry. There is nothing similar between Choi Young Do and Shin Joon Young through. I don’t even get a same vibe from them. It’s like when people tried to compare KWB’s School 2013 character to Choi Young Do, even if both had nothing similar nor in his portal of them, nor how they were written. All of them share just that they full of angst, yet somehow that angst feels different. 2013 – betrayal, The Heirs – lost, UF – death. And KWB is was right in spot to catch it. p.s. Shin Joon Young is not a “bad boy” type. I wanna say that Kim Woo Bin reminds me of Marlon Brando…not in terms of acting at least not yet…but in that he has the brooding good looks and the distinctive voice. 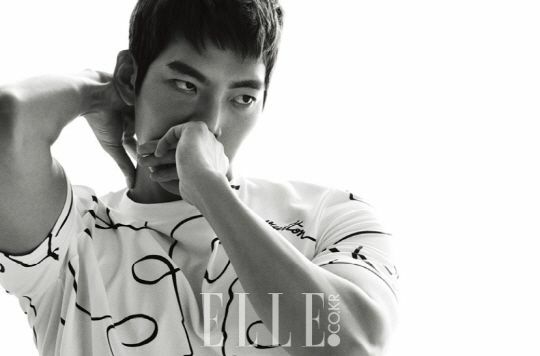 I’ve never heard another Korean actor talk the way Woo Bin does. Yes he has a deep husky voice but it’s something else I can’t describe its not Satoori but it’s some kind of accent..lol does anyone else know what I’m talking about? Or am I crazy? I dunno…he’s got something going on with his intensity and him having such presence in his more recent projects. I really feel for him in UF, I get his tears, his determination and his love. As for Suzy, well, let’s just say she’s trying her best. I had high expectation for UF to do really well like Nice Guy bcos of the acclaimed writer. But so far the drama is a great disappointment and serviceable overall. I think the lackluster performance is mainly attributed to Suzy’s uncontrollably sub-par acting. KWB is doing decent specifically he emoted well in sad scenes. I wonder if he might do way better with another more capable leading lady instead of Suzy. yeah, I saw someone speculating that the drama might have connected better if the leading lady was someone like Kang Sora or Kim Jiwon (who could also look more believable as a 27-28 year old). The way Suzy plays it, it just doesn’t connect either on the acting or the chemistry, and no matter what her fans say, an actress who can only play certain scenes in a role is not much of an actress at all. the expectations.i can say that KWB is the one who make UF worth watching.